I was very excited to see the new Nancy Drew movie and as I watched it, I was stuck by how similar it was to another young detective, Sammy Keyes. 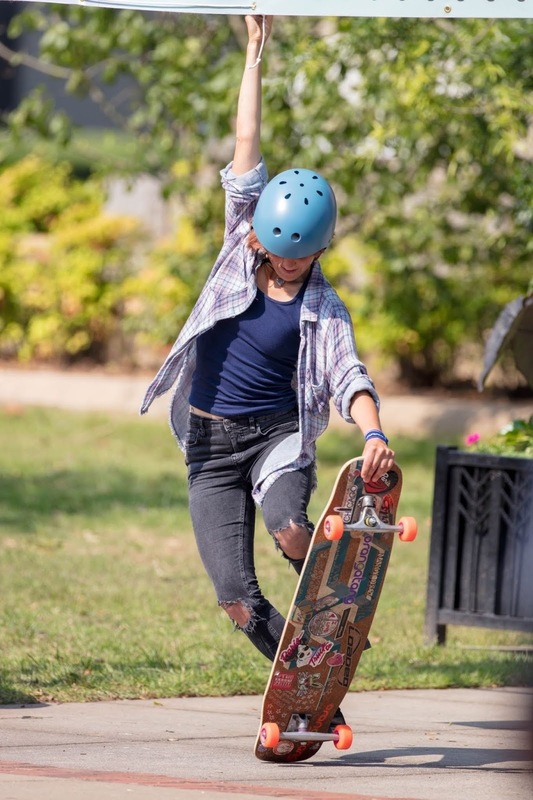 The movie opens with Nancy Drew sporting some skateboarding moves that would not be a problem for Sammy Keyes. 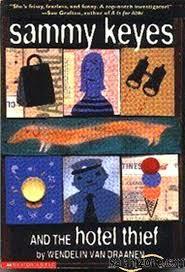 The Sammy Keyes books started with Sammy Keyes and the Hotel Thief, which was written in 1998 by Wendelin Van Draanen and ended after 18 books in 2014 with Sammy Keyes and the Kiss Goodbye. Sammy starts as a seventh grader and of course is a few years younger than Nancy Drew, so she gets around town on a skateboard much of the time. Through the course of the Sammy Keyes books, she deals with some school bullying which is exactly how the new Nancy Drew movie starts with Bess being bullied by a school jock, and something that was not in original Nancy Drew books. Sammy often comes to the defense of her friends and just like Sammy, Nancy comes to the defense of Bess and in the process is forced to do community service. Sammy Keyes is no stranger to community service. She begins the book Sammy Keyes and the Sisters of Mercy by doing community service at the local Catholic Church. She was also suspended from school in the first book of the series. I believe that the Nancy Drew books did not address bullying by peers because the original Nancy Drew was not in a school setting. Other books written at the same time (Like the Dana Girls) do have more peer bullying. Nancy Drew starts off the movie clashing with the local Sheriff and Sammy Keyes is no stranger to run ins with the local police. Officer Borsch in the Sammy Keyes books is very leery of Sammy, even when her motives are pure. The relationship between Nancy Drew and the Sheriff in the new movie immediately reminded me of Officer Borsch and Sammy Keyes. In the original Nancy Drew books, Nancy has a good relationship with the police. They respect her father and her as his daughter and often believe her hunches and ask for her help on mysterious cases. There are differences also, Sammy lives with her grandmother and has a mother who is working in Hollywood and she is not sure about who is her father. Nancy Drew lives with her father and an aunt (created for this movie and appears to be a hybrid of Aunt Eloise and Hannah Gruen from the books) and her mother died recently (in the movie, not in the books). 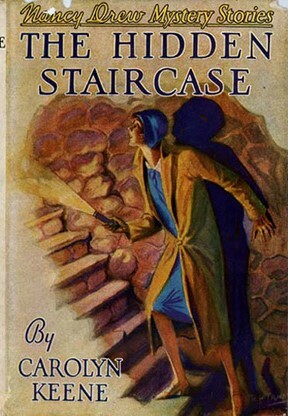 The main mystery in the new movie is taken directly from the Hidden Staircase; the second Nancy Drew book which was originally written in 1930. I really enjoyed the new Nancy Drew movie and I highly recommend it. It will only be in theaters for a few more days and will be released on DVD April 2nd. And if you like the movie, you might want to pick up a Sammy Keyes book. They are targeted for a somewhat younger audience, but do not let that stop you from reading some top notch mysteries!